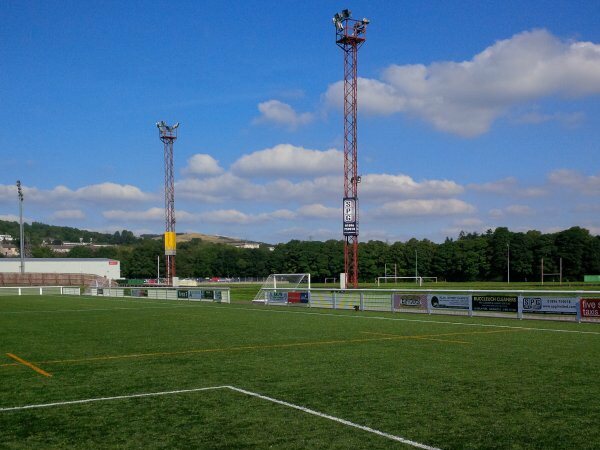 From North: Take A7 until you cross over Gala Water and Tesco is on you right, take the 1st turning at the roundabout, signposted Netherdale and continue to the end of the road (Sykes in front) turn right and football club is second stadium on left. 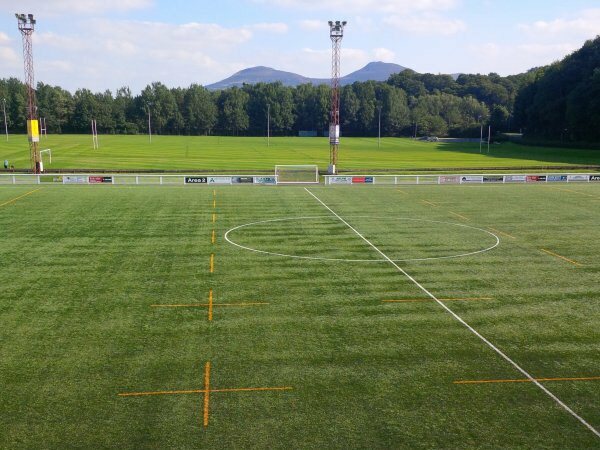 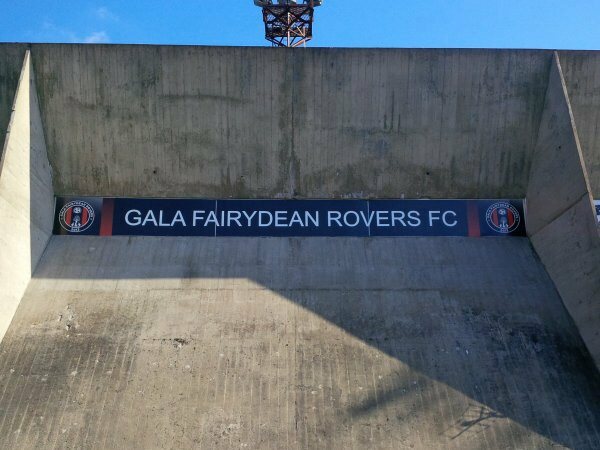 From South: At the Kingsnowe Roundabout enter Galashiels and at the 1st mini roundabout, turn right into Tweed Road, stadium will become visible after going around a bend. 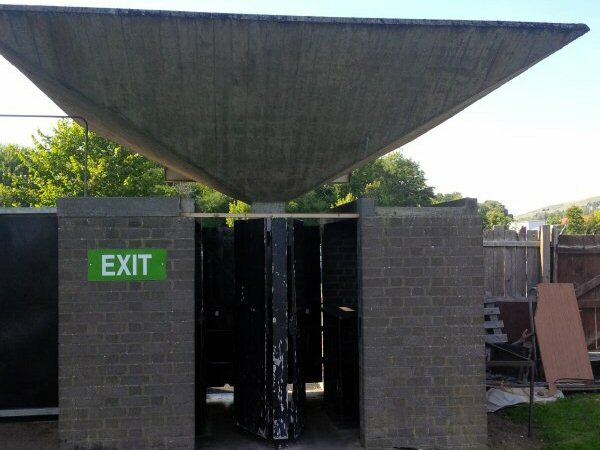 The concrete grandstand at Netherdale was built in the 60s and has been described as something one might have found in the USSR. 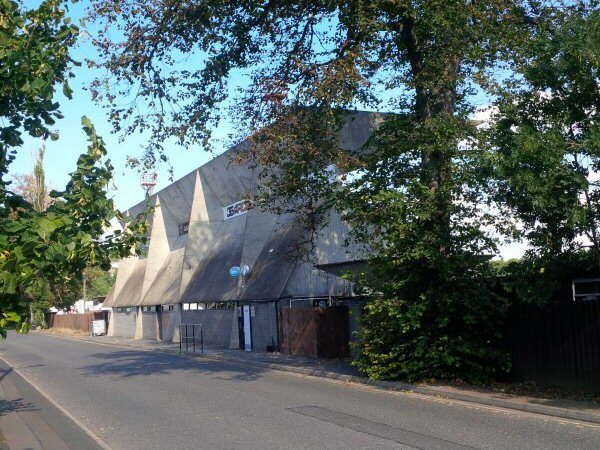 It is in fact a listed building, receiving A list status in December 2013. 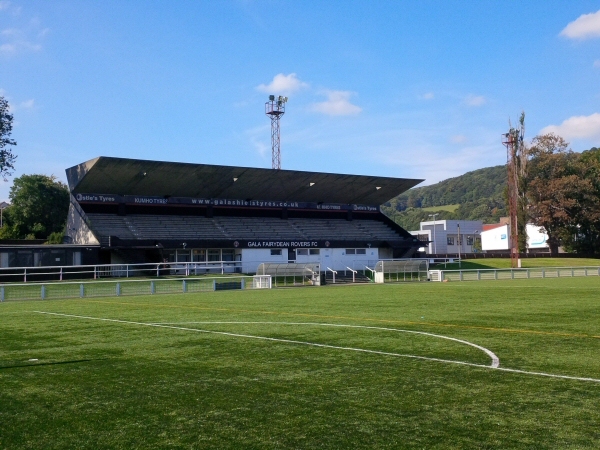 The grandstand's wooden benches do provide a good view and the club maintain their stand well. 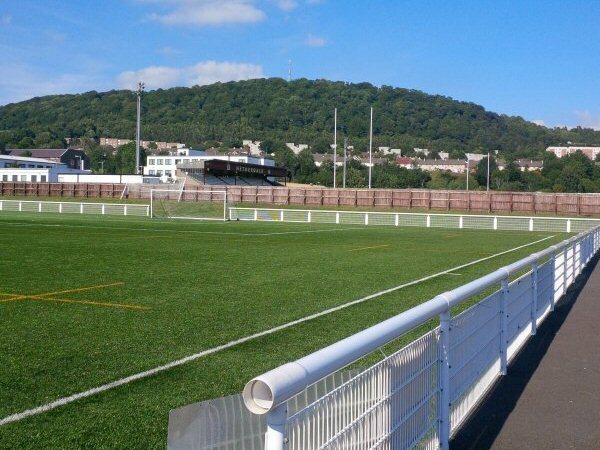 The remaining three sides consist of a tarmac path and grass banking. 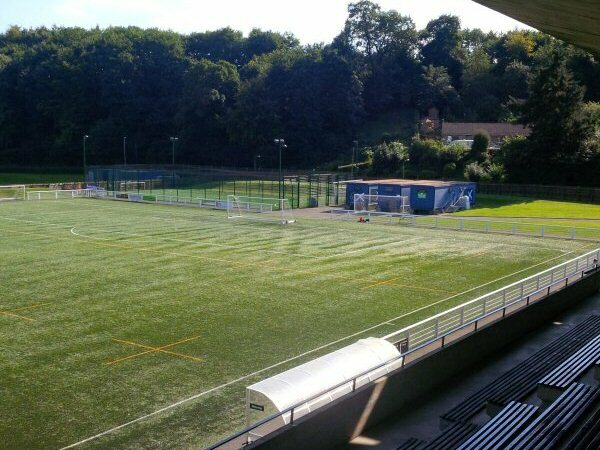 A 3G pitch was added in 2011 as well as new spectator barriers all round the ground. 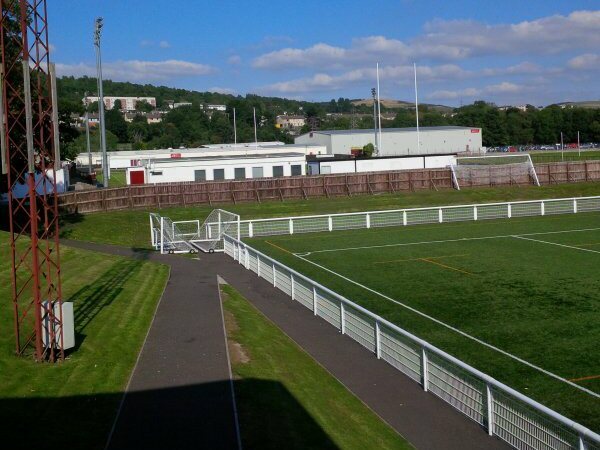 Behind the Tweed Road end there is a 3G five-a-side court and a small car park (although the car park is not used on match days). 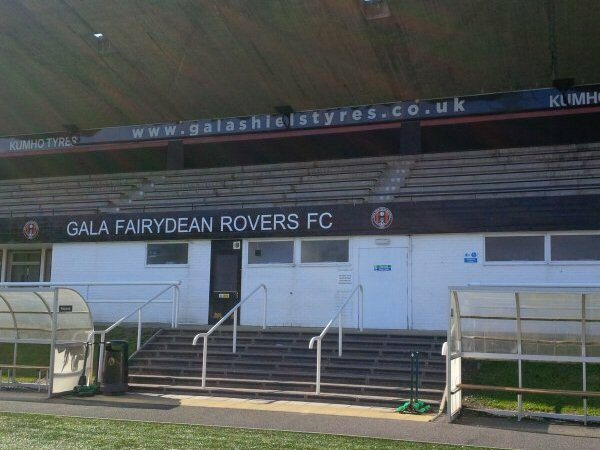 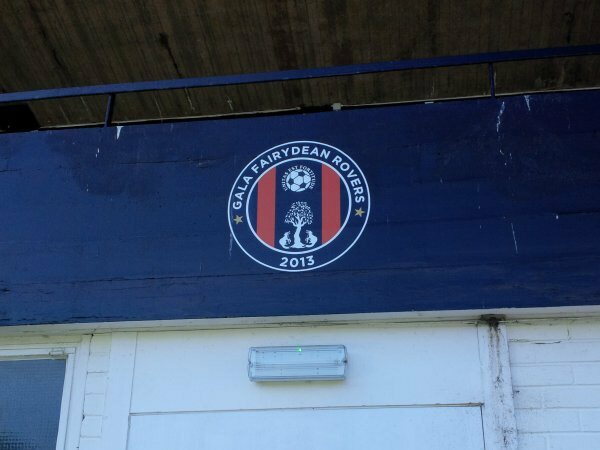 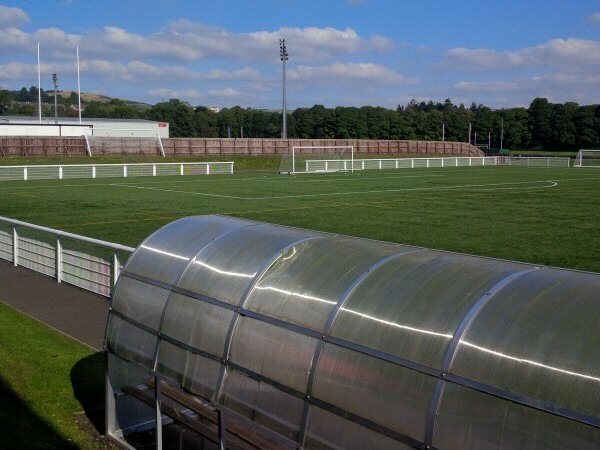 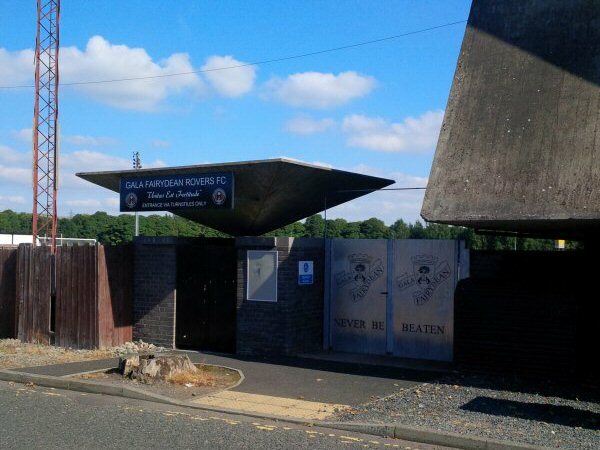 The formation of the club was the result of a merger between Gala Fairydean and Gala Rovers in 2013.